• Using Testing Tools: A good way to ensure that your site can support mobile shopping or browsing is to use third-party tools for testing the kind of problems that are arising on your site. You must test the website to see how receptive and responsive it is. While you will come across multiple testing tools, you can use Responsinator which will help you to see how the site appears across different mobile displays. You can also make use of MobiReady which is slightly more advanced and helpful as it offers technical suggestions too on how to improve responsiveness of the site and gives you an overall rating. Google Mobile Website Speed Testing Tool will rate your website according to different parameters associated with mobile browsing; it will also hand over a comprehensive report of features which need improvement. When you find that the site is not scoring too well, you may find the Google guide to building mobile-friendly sites very handy. • Professional Help: To make your site mobile-ready, you may consider taking the help of professionals because doing it on your own may take up a lot of time and the results may not be encouraging. However, before you actually hire a freelancer for the job, you should weigh the pros and cons; when you have worked with such professionals earlier, you can create a dedicated platform for hiring them. For instance, when you need WordPress developers, you can reach out to codeable.io which scans every applicant to ensure that they are qualified before they can join them. A similar scanning system is also used by Toptal to recruit only the finest freelancers for web designing work. • You can make your site mobile-friendly by using plug-ins: most of the modern WordPress themes have been created to help mobile viewers and if you have old themes running, it is time to change these. With the Mobile Smart plug-in you do not have to switch the whole website to a new theme; you can simply introduce a theme just for mobile users. • Google Analytics: You can even analyze the site traffic using Google Analytics. This software actually helps you to calculate the mobile traffic through the Reporting Tab. It gives a graph which displays mobile sessions and a table including specific metrics like bounce rate and new users. You can use the bounce rate between mobile sessions and desktop sessions to understand whether your mobile experience is good enough. Bounce rates will be alike when both experiences are almost similar. • Cross Device Tracking: You should use this method to track the user sessions on different devices; in short, it is possible to track users every time they switch to mobiles from desktops. This is a good indicator of your site’s performance and together with Google Analytics it can be very beneficial. 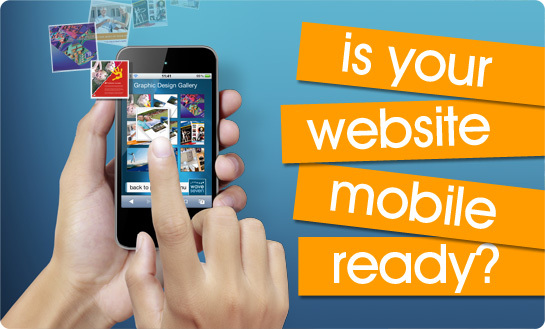 Using all these measures suggested above, it is possible to make your website mobile-ready in a short time. All the steps are likely to take up a lot of time, but they are worth in the end. Your search engine rankings will also improve as will the traffic to the site, depending on the kind of changes you can introduce. Some other factors to bear in mind when making changes to your site is to figure out which kind of data your viewers will be searching for and keeping the steps from the entry point to the point of sale as short and simple as you can.